What a day we had on Saturday April 29th. 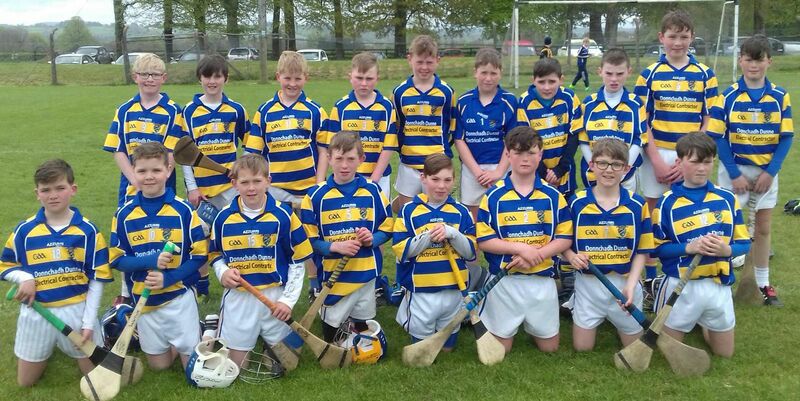 We were invited to the inaugural Paddy Moore tournament held by the Naomh Chartaigh club at the Lismore GAA grounds. 3 games, 72 mins hurling, 9-8 scored 3-8 conceded meant we qualified for the final after matches against St. Catherine's of Cork, Naomh Charthaigh and Cois Bhride, Tallow. Another game, another 40 mins hurling and the final was in the melting pot right up to the last whistle, which saw the host club emerge victors by two points, with our lads fighting back from 7 points down but that piece of luck eluded us preventing us coming away with the trophy. Well done to Naomh Chartaigh and many thanks for the invite. A great days hurling had by the boys with the final being game of the day.